Image by @RodHuntress shared on Twitter. Palouse panorama at harvest time, seen from the John Wayne Pioneer Trail. Shot between the ID border and Tekoa, WA. 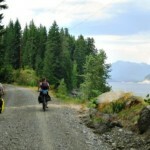 Every time someone bikes the John Wayne Pioneer Trail it creates a new source of information for people planning a future trip. In August, people following @SheRidesABike or @RodHuntress on Twitter got a series of insights into the east-to-west trek, shared here with their permission. If you’re thinking of biking the trail someday, check out our round-up of other blog posts and information sources on the John Wayne Pioneer Trail. 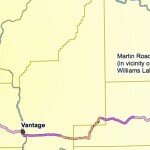 This article was posted in Adventure, Bike Camping, News, Trails and tagged bike camping, John Wayne Pioneer Trail, rail trails, trails. Bookmark the permalink. Follow comments with the RSS feed for this post. Both comments and trackbacks are closed.